Christmas Chocolate Blossom with 12 Ferrero Rocher's and 12 Lindor Balls. 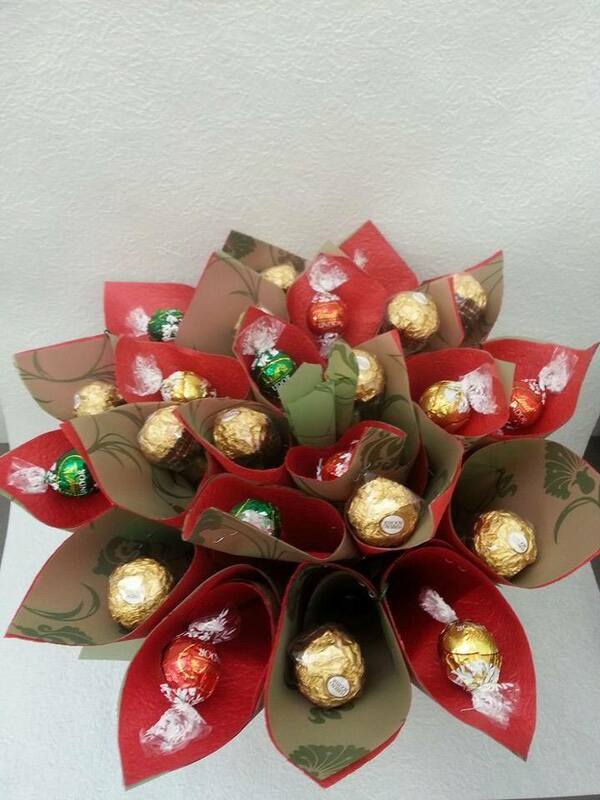 Christmas Chocolate Blossom with 12 Ferrero Rocheres and 12 Lindor Balls. Beautifully arranged in a flower shape and placed in to a Christmas decorated box.